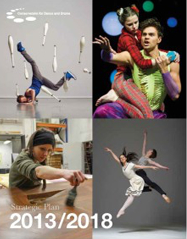 The Conservatoire’s Strategic Plan for 2013-18 describes how we, as a partnership of schools, aim to contribute even more to the economic, social and artistic success of the UK. The Conservatoire’s vision reflects its uniqueness: it aims to prepare exceptional artists together. Training the next generation of production professionals and performers is a shared enterprise, locally within each school, collectively across the schools and as part of the wider arts environment, to ensure that there are the resources, the expertise and the infrastructure to maintain the Conservatoire’s elite position. Recognising the ongoing potential within the Conservatoire model, the Conservatoire’s mission is to harness the Conservatoire’s unique power of eight schools to enhance the learning of student artists and performers and help them shape the future of their art forms. The Conservatoire will pursue Conservatoire Degrees to enhance the learning and teaching offered by schools and, by so doing, will express its confidence in the quality of its programmes to the external world. It will create and support opportunities to stretch the possibilities of conservatoire-level training and enhance the experience of students. It will provide routes into professional training for young people and support staff as teachers and managers. Finally, it will enable research and enterprise within the schools. The Conservatoire will build increasingly dynamic relationships with its industries, nationally and internationally, and communicate more strongly the public benefit of specialist conservatoires. The Conservatoire will secure the necessary funding from government to meet its aims, along with funds from its student body and the schools’ enterprise and fundraising activities. Through improved resources, it will deliver the highest quality intensive education and training. To focus its activities to meet these strategic aims, it will review its governance and management structures (and the associated overheads) to ensure that they are fit for purpose and future proof. The Conservatoire is a creative organisation and will harness its collective creativity to make something happen that inspires students and young people beyond the everyday.